According to the company, the past financial year was marked by good to very good demand in the first half year. The second half year followed by cooling down due to delayed investment decisions and therefore extended lead times. Even though the market conditions have been unfavorable, sales volumes developed according to plans. The total number of NGR systems in operation worldwide rose to more than 800. The new polyethylene terephthalate (PET)-improvement process Liquid State Polycondenzation (LSP) builds the basis of the machine series P:REACT. 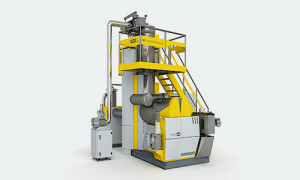 The first machine was installed successfully at a PET-fiber manufacturer. Two further machines recently were ordered in the US – one for PET-sheet recycling and one for PET-carpet recycling. “The success of this market introduction is directly linked to our permanent strive in meeting the demands of the plastic recycling industry and demonstrates the enormous innovation power of NGR,” stated Thomas Pichler, CTO of NGR.